If you have any questions about the SEAGULL OF CAYMAN information page below please contact us. SEAGULL OF CAYMAN used to be named project/yacht name 622 Enterprise Iii; Alma; Camden; Big Eagle Ii; Seagull. 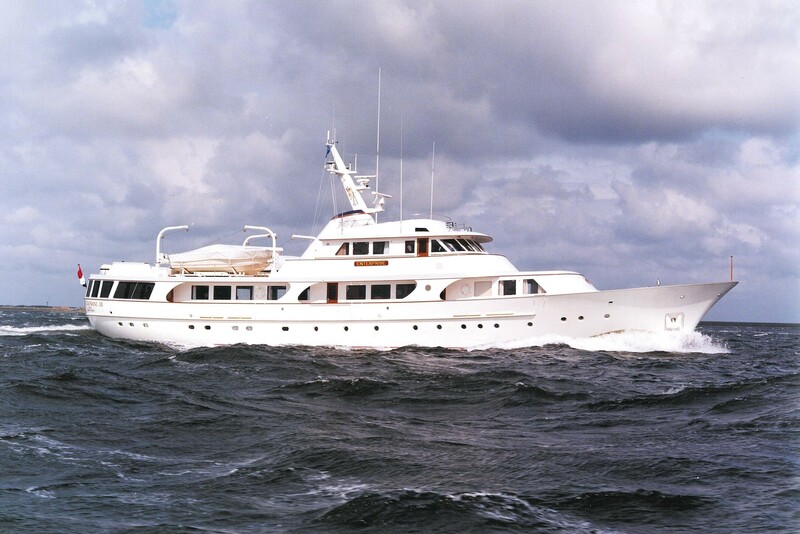 This 40 m (131 foot) luxury yacht was built at The Feadship De Vries Shipyard in 1980. Motor Yacht SEAGULL OF CAYMAN is a capacious superyacht. The naval architecture office who actualised her plans and general arangement on this ship is De Voogt Naval Architects. Luxury yacht SEAGULL OF CAYMAN is a quality yacht that is able to accommodate up to 12 people on board and has around 7 qualified crew. De Voogt Naval Architects was the naval architect firm involved in the formal superyacht plans for SEAGULL OF CAYMAN. Also the company De Voogt Naval Architects successfully worked on this undertaking. In 1980 she was actually launched to triumph in Aalsmeer and post sea trials and finishing touches was thereafter passed on to the owner. The Feadship De Vries Shipyard completed their new build motor yacht in the Netherlands. The hull was built out of steel. 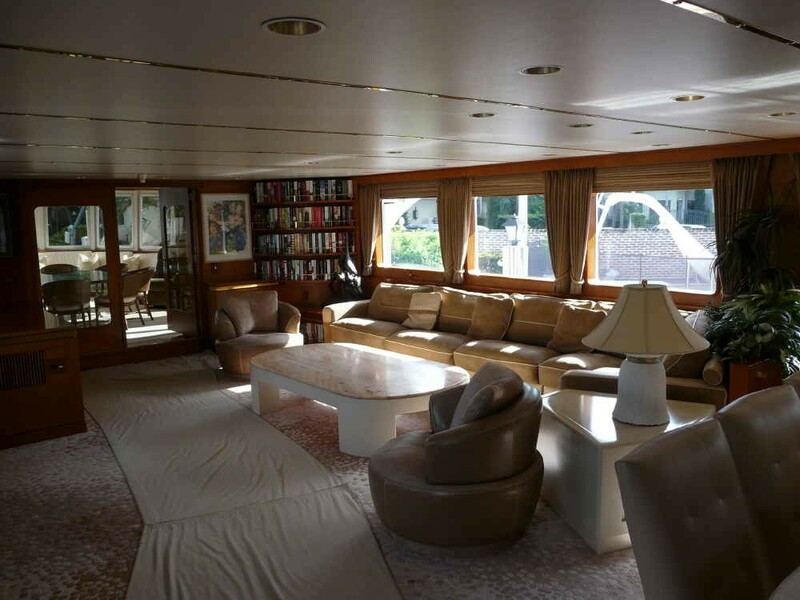 The motor yacht main superstructure is fabricated extensively using aluminium. 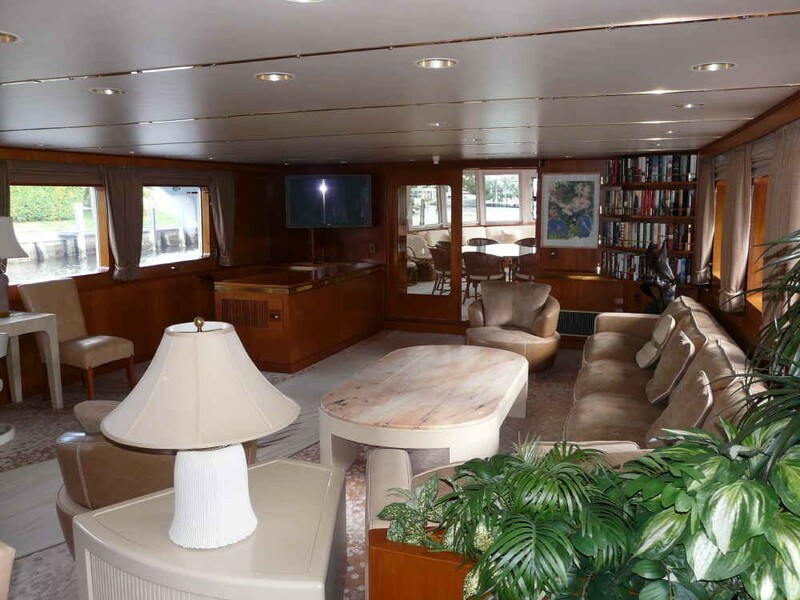 With a beam of 7.89 m or 25.9 ft SEAGULL OF CAYMAN has reasonable room. She has a reasonably shallow draught of 2.38m (7.8ft). She had refit maintenance and alteration work undertaken by 1988. The 12V 149N engine powering the yacht is built by GM. Connected to her GM engine(s) are twin screw propellers. The main engine of the yacht produces 675 horse power (or 497 kilowatts). She is fitted with 2 engines. The total thrust for the boat is therefore 1350 HP or 993 KW. As for stabalisers she utilises Vosper. The bow thrusters are Schottel. Offering volume for a limit of 12 yacht guests spending the night, the SEAGULL OF CAYMAN accommodates everyone comfortably. She also has room for approx 7 professional crew to manage. 40.02 metres / 131.3 feet. Giving the combined power of 1350 HP /993 KW. SEAGULL OF CAYMAN features a teak deck. 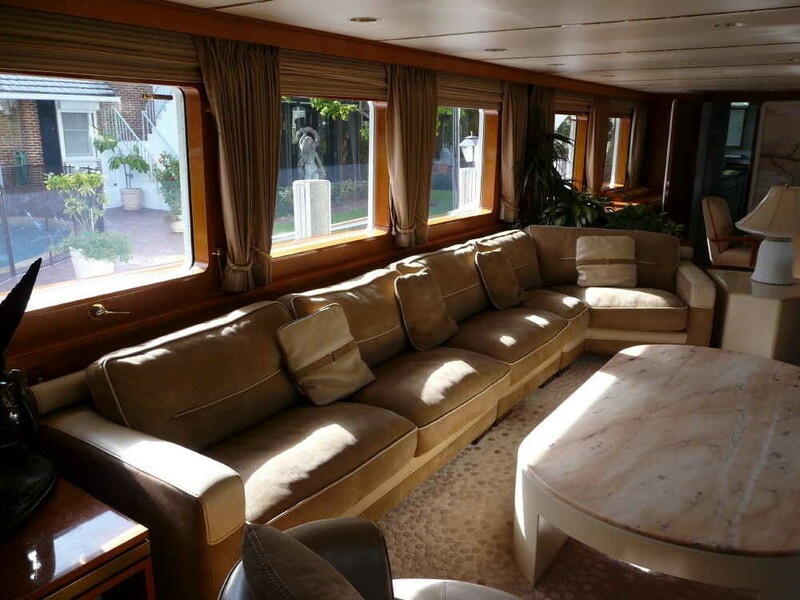 The luxury yacht SEAGULL OF CAYMAN displayed on this page is merely informational and she is not necessarily available for yacht charter or for sale, nor is she represented or marketed in anyway by CharterWorld. This web page and the superyacht information contained herein is not contractual. All yacht specifications and informations are displayed in good faith but CharterWorld does not warrant or assume any legal liability or responsibility for the current accuracy, completeness, validity, or usefulness of any superyacht information and/or images displayed. All boat information is subject to change without prior notice and may not be current.